Cavoodles have soft, Poodle-like coats which tend to shed a small amount since Poodles do not shed but Cavaliers do. 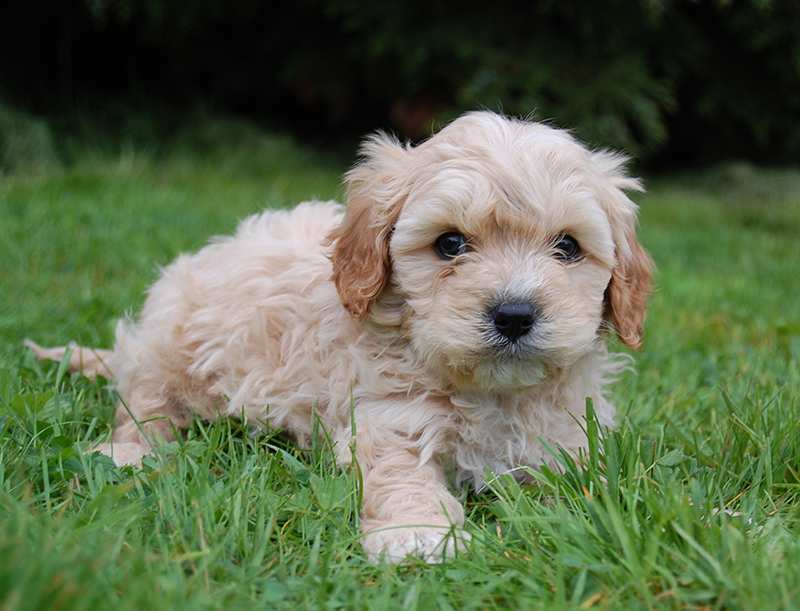 Cavoodle puppies come in a variety of colours, including black, white, chestnut/white, black/white/tan, gold, red, ruby and apricot – no cavoodle puppy looks the same. Grooming the Cavoodle varies depending on what kind of coat it has. Poodle-coated cavoodles require brushing every couple of days but shed very little. Cavalier-coated cavoodles require less brushing but tend to shed more than their Poodle-coated counterparts. Cavalier cross Poodle can vary in size and height depending on whether it was bred from a Toy or Miniature Poodle. Generally they stand at 30 – 35 cm tall and weigh between 5 and 12 kg. Their lifespan is around 10 – 14 years. 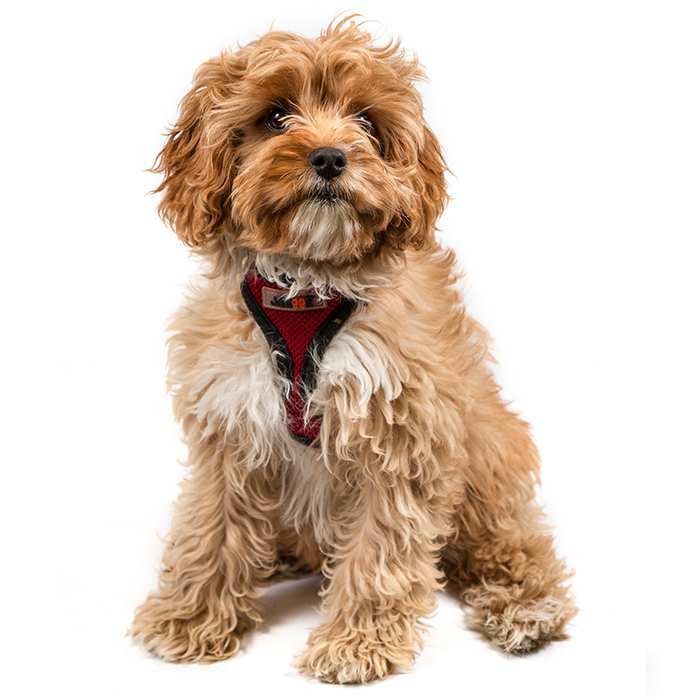 The Cavoodle temperament combines the best traits from the Cavalier and the Poodle to create a smart, affectionate, playful and eager to please. They are highly trainable, obedient and are very easy to teach. They thrive on the company of their family and other household pets. While they are great with children, it is important to teach any young children who come into contact with the Cavoodle to be gentle and that the dog is not a toy. The Cavalier side of the Cavalier Poodle tends to balance out the neuroses of the Poodle side, making it a laid-back and calm companion. Despite this, Cavoodles should not be left alone for long periods of time as they require almost round-the-clock company. Like many breeds, Cavoodles who are left alone and not given enough physical or mental stimulation can develop behavioural problems. 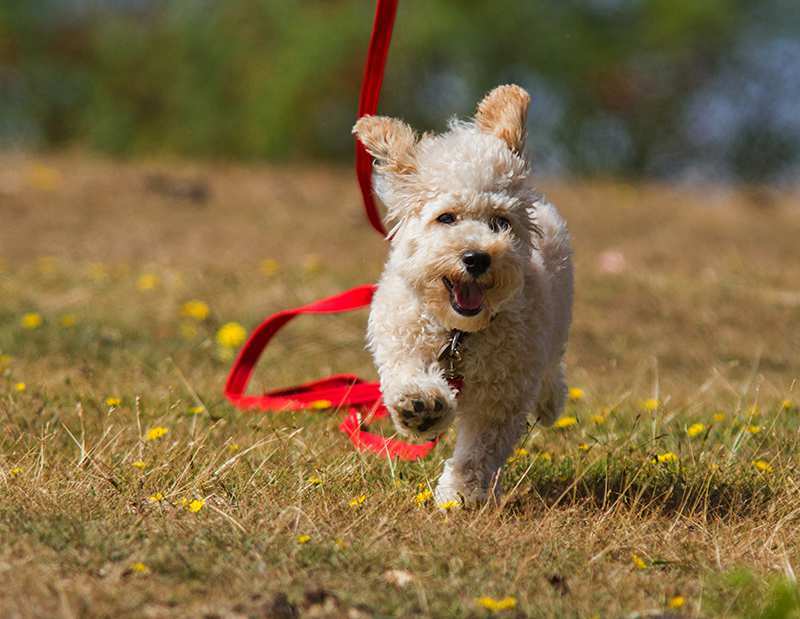 What are the most common health issues for Cavoodles? Syringomyelia. A condition that is also quite common in Cavoodles, syringomyelia is a condition where the formation of the skull is too small for the brain. 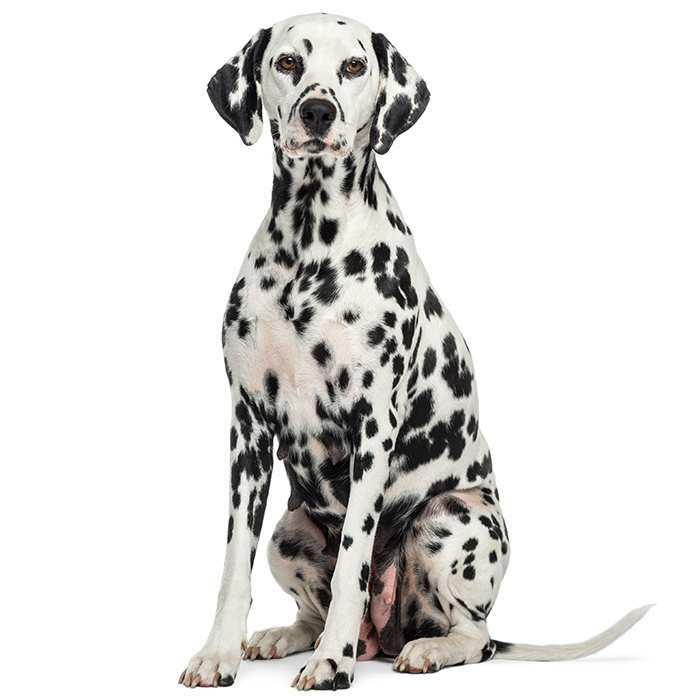 This can cause the dog mild discomfort or a great deal of pain depending on the severity of the condition. If your Cavoodle shows tenderness around the neck, head or shoulders, often whimpers when touched or scratches at the head, take them to the vet as soon as possible for assessment. Mitral Valve Disease. Very common in the Cavalier King Charles Spaniel, MVD begins with a heart murmur that becomes increasingly problematic until the animal suffers heart failure and dies. 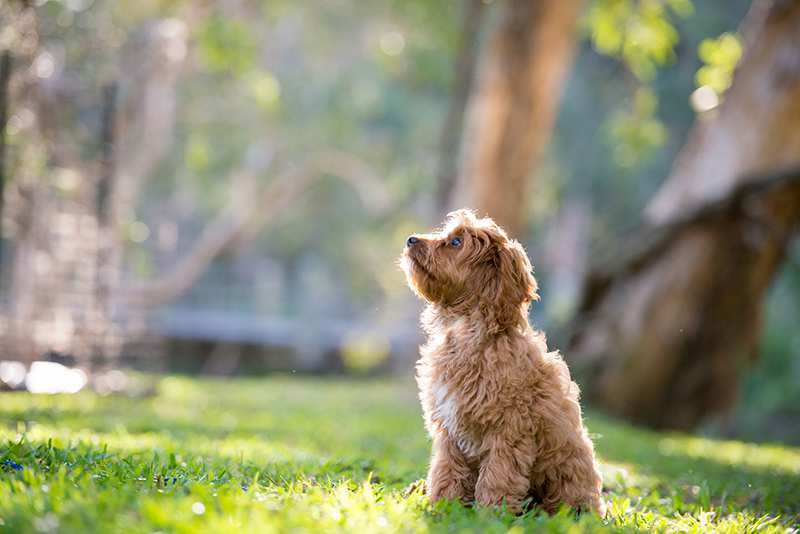 This form of heart disease can occur in many breeds but will generally occur at a much younger stage for the Cavalier King Charles Spaniel, therefore Cavoodle owners should be aware. The condition is thought to be genetic. Epilepsy. 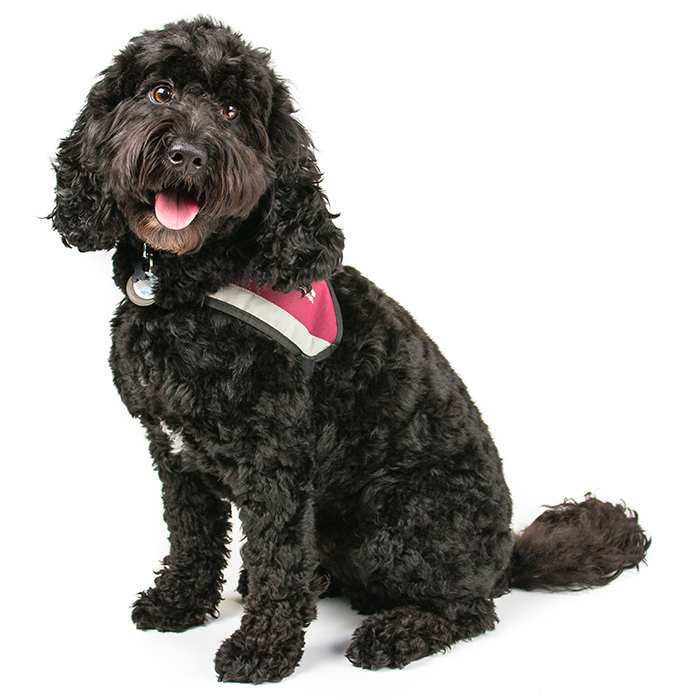 Cavoodles may be prone to idiopathic epilepsy, which are seizures with no known cause. There is treatment available for cavoodles suffering epilepsy. The Cavoodle breeder first bred the Cavalier and Poodle breeds in the 1950s in America before making its way to the UK and Australia.  Despite being one of the most popular hybrid breeds in Australia, the Cavoodle is not recognised by any of the major international kennel clubs, as with all other “designer” and hybrid breeds. 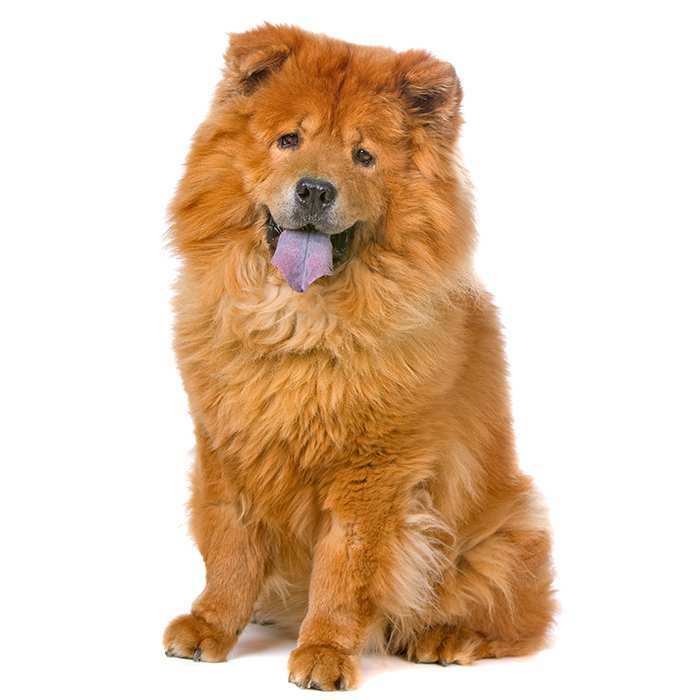 However, they can be registered in the American Canine Hybrid Club, the Designer Dogs Kennel Club, the International Designer Canine Registry and the Designer Breed Registry. 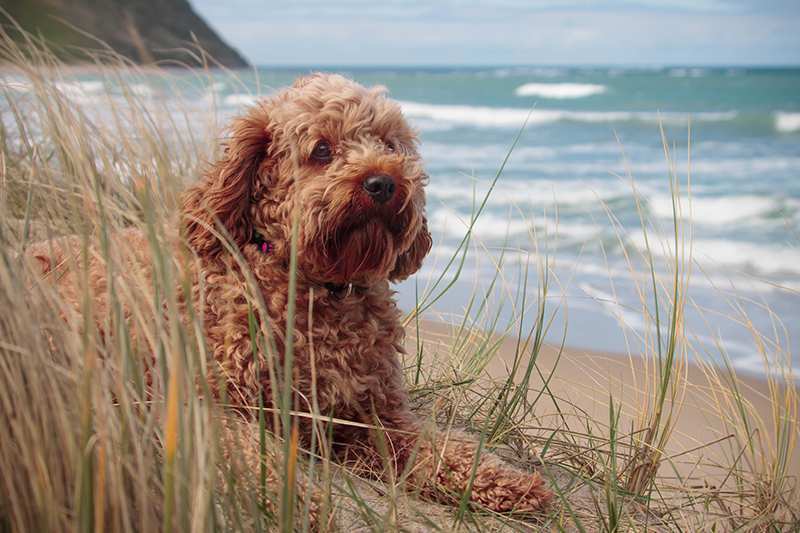 While “Cavoodle” is the most used name for the breed in Australia, internationally it is also known as the Cavapoo, Cavadoo, Cavapoodle and Cavadoodle.